Grace encompasses true grandeur and class. Our unstitched fabric products are manufactured according to international quality standards, so that they are reliable and worth their price. Grace is a pioneering name, known for its best quality fabric material at competitive prices. The unstitched fabric offered by us is manufactured exclusively under the guidance of experts of each processing unit. With one of the most advanced infrastructures fitted with state-of-the-art machinery and equipment, our production capacity and standards are none like any other in the industry. 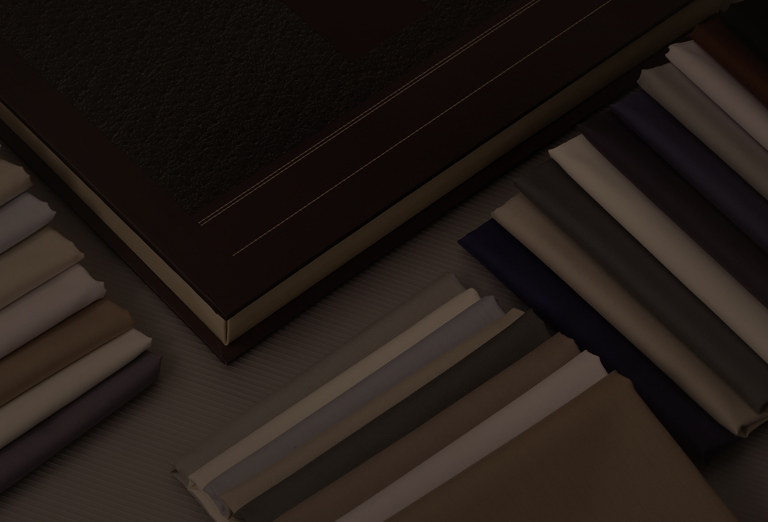 We promise our customers exemplary quality fabric that will keep you coming for more. Our standards incorporate both, feel and look of the final product that has helped us establishing a credible name in the industry. With a commitment to deliver nothing but the best, we specialize in a range of top-quality unstitched fabrics including dyed and printed fabrics made of polyester, viscose (rayon), nylon, silk, cotton and their blends. Our fabric quality is tested on various parameters to ensure that it is beyond par. After all customer satisfaction reigns supreme. 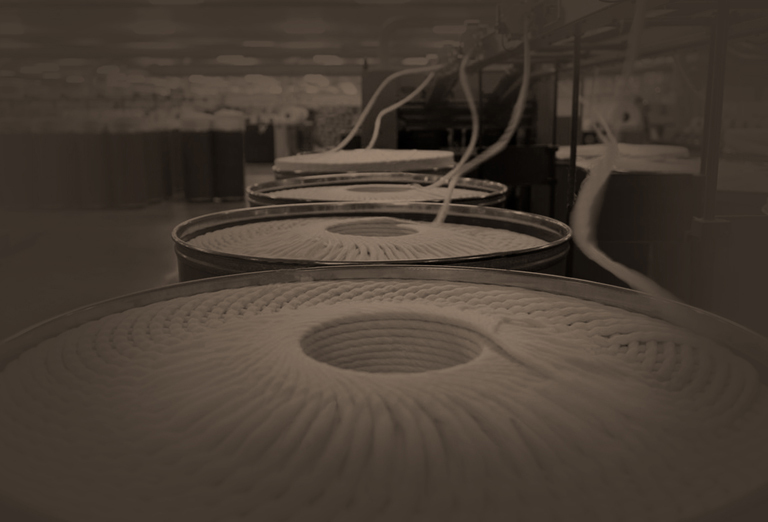 Our primary manufacturing process includes spinning. Spinning is a crucial stage in the textile manufacturing process and hence we employ the best expertise and industry-best standards to do justice to this highly important process. 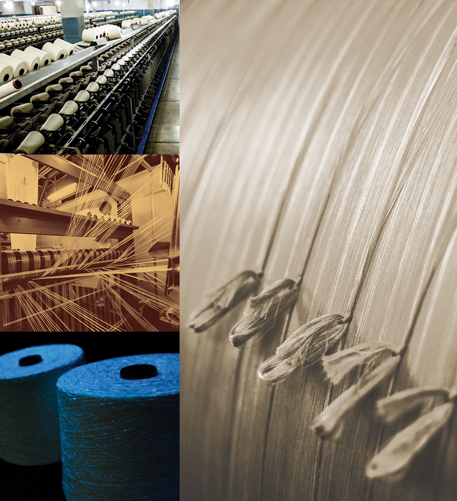 We source our rich, high-quality fiber from the finest of resources and spin it into superlative quality yarn using some of the most advanced technology and machinery. Attention to detail and a high level of proficiency is ensured to produce the finest textured yarn that will ultimately make up the fabric. Our technological supremacy through MVS, MJS, Ring and open-end spinning has given us the competitive edge that differentiates us from other players in the industry. The weaving process is one of the most integral steps that goes into the manufacturing process of unstitched fabric. 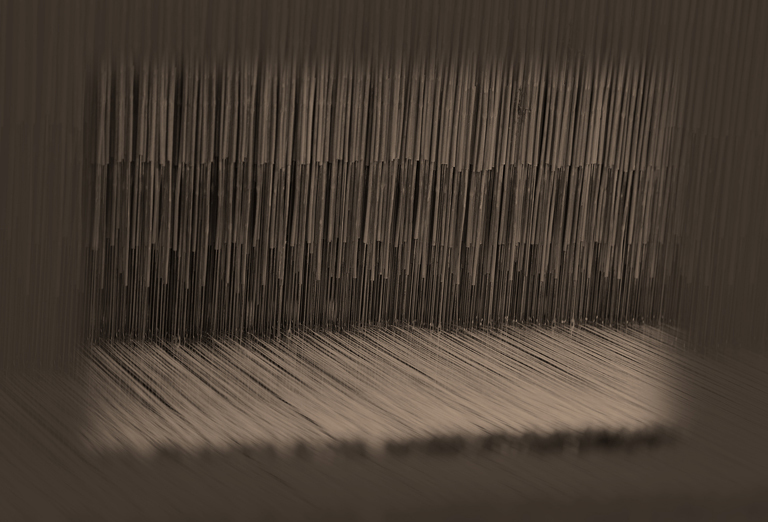 It is a precise process where the thread is finely woven into a fabric. Commencing from yarn twisting, our high-class in-house ring twisting machine equips us to achieve the precise fabric specifications. 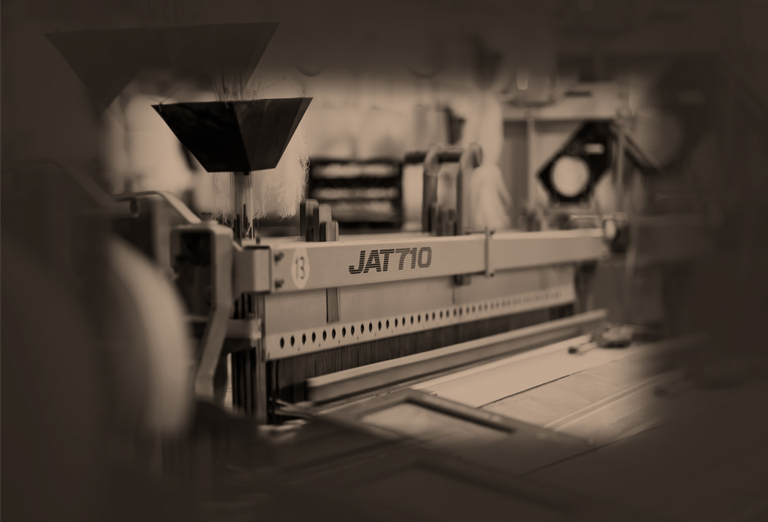 With consistency being at the heart of our weaving process, we ensure accuracy through technologies like Rapier, Air Jet and Shuttle Looms and an electronic database which has the precise details stored in them. We would be more than glad to tailor a fabric for your unique needs as we deal in a diverse range of weave patterns to impart a unique yet exquisite look to our fabrics. At Grace, the method of dyeing that we employ imparts the final and finished look to our fabric that has undergone such elaborate processing in the past. Hence, special attention is paid to the dyeing process where everything from the water, to the type and grade of fiber, yarn or cloth is taken into account. The quality standards of the dyed fabric and size of the batches to be dyed are all factors that needs to be considered when implementing this highly crucial step. . 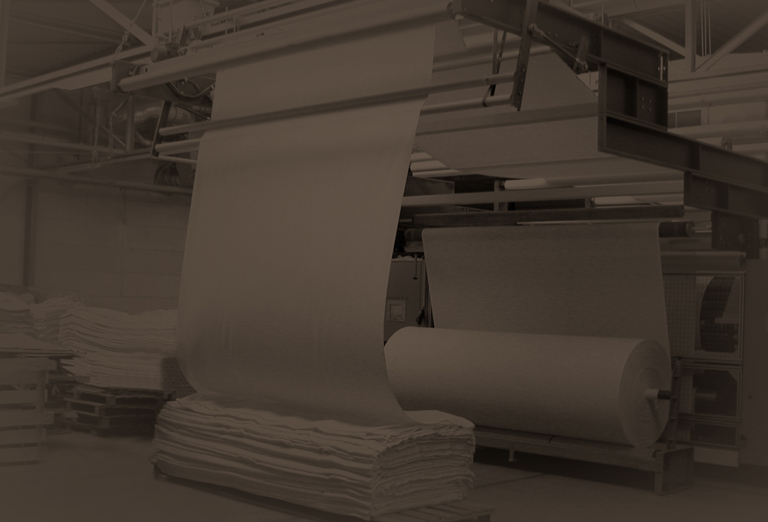 The two dyeing procedures implemented at Grace Fabrics International include: VAT and Reactive Dyeing. vat dyes are primarily used for the coloring of cellulose fiber especially cotton and is widely used in the textile industry. The word ‘vat’ takes its origin from ‘vessel’ and hence, it can be deduced that this kind of dyeing takes place in large containers or vessels. Vat dyes are natural colors that are solubilized in a vat by the process of vatting, a type of fermentation process. The major advantage of using the vat dyeing process is the stability of the color in the long run. This preferred method of dyeing uses high colored organic substances that attach to the fiber through a chemical reaction that is permanent resulting in log lasting colors as compared to dyes that adhere through absorption. The covalent bond that the dye makes with the fiber molecule is what differentiates this dye from the rest. As it significantly enhances the color stability and wash ability of the product. Hence, it is justifiably one of the most prevalent form of dyeing in the textile industry. Characterized by durability, stability and unmatched quality, we pride ourselves on being one of the very few players in the unstitched fabric industry who has such a holistic and transparent system in place to ensure maximum customer satisfaction. With all the necessary and advanced equipment, we are able to maximize productivity at the production level and produce A-grade products like rich cotton and blended fabrics. Our units are equipped with sophisticated technologies in terms of machinery and processing equipment. In addition, it is effectively managed for healthy working conditions and efficient production activities. With seamless coordination, organization and management of activities, we are goal oriented, never compromising on quality and service. Grace is synonymous with the exclusive suiting fabric produced with High-quality yarn & has renowned it the reputation for excellent quality across the world. We define this premium experience through our product, our presentation, and our people.